Priya Village Roadshow (PVR) Cinemas is one of the best cinema chains in India. This company started as a joint venture between Priya Exhibitors Private Limited and Village Roadshow Limited in 1995. They first launched the PVR Anupam in Saket, New Delhi in 1997 that was the first multiplex in India. Currently, PVR Cinemas had the 368 screens in 87 locations across 37 Cities in India. PVR Cinemas planned to open around 500 screens by the 2015. 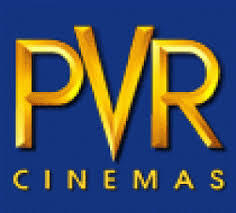 PVR Cinemas had a strong presence in national capital New Delhi and NCR with around 55 screens in 16 multiplexes. PVR Cinemas had India's largest multiplex name PVR Orion,Bangalore that had 14 screens including 3 ultra-premium cinemas known as the Gold Class. PVR had world class multiplexes that win the heart of viewers across the country. PVR Cinemas always provide the better facility to the users. In addition to their online ticket booking, IVr ticket booking and many more other services they had started the SMS facility to get the PVR Cinemas movie schedules across the country. For getting the PVR Cinemas movie schedule in your favorite PVR cinemas multiplex just you need to type to below SMS in your message box and need to send it to the number 53030 . Note:- Premium SMS charges will be applicable for the SMS. Please contact your service providers for the charges.